Think of the face as a clock, with eyebrows as the hands: one look at the positioning and our personal time lapse is on full display. It’s one of the more prominent features on our faces, and if not carefully shaped, can unnecessarily age us. Too sharp of an arch can add years. If your brows are too bushy, it can make eyes look smaller, which is also less than ideal — consider how big and bright a baby’s eyes look. Brow expert Giselle Soto agrees that sharp arches tack on the years. “In my opinion, a round face shape is the only face shape that a sharp, distinct arch balances out,” she says. For every other face shape (including heart-shaped, oval, diamond, or square), a soft curve is the way to go. Tiny enhancements to certain parts of the brow can also make a huge difference. You’ve likely told any brow waxer or tweezer you’ve had to keep the tail as long as possible, but Soto explains that when the brow tail starts to extend too far down toward the eye, you’re actually closing it and making the overall shape less natural-looking. Because a more wispy appearance is youthful, Soto recommends that when styling your brows at home, always brush up (and not to the side). Giving the illusion of lift makes the eye look more open and bright. And, as mentioned earlier, arches thin out over time, making it especially important to keep the area clean and pores unclogged. Congestion of the follicle can make it challenging for the hair to grow properly, eventually leading to hair loss. When it comes to coloring your arches (either at home or having them professionally done), you definitely want to add definition, but going too dark could look severe. “Excessive makeup is a strong factor in making someone looking older,” says Soto. It’s a common mistake that many make when trying to cover up sparse areas. Try going two shades lighter than your hair color if you have darker hair, or two shades darker (if you have blonde or grey strands) to keep your arches as natural-looking as possible. If you find yourself with too deep of a professional tint, Soto recommends using a highlighter across the brow bone to add some contrast and soften the darkness. Should you be DIYing your brows — and are new to the experience — stick with a powder or pencil (rather than a cream, gel, or dye). These will give you more control and less room for error. We’re particularly fond of the MAC® Cosmetics Great Brows palette ($30), because each one contains two brow powder shades to mix and match, a highlighter to brighten the arch, and tiny brushes to apply it all with. When makeup or tinting becomes too much of a chore — or if there aren’t many brow hairs left to color — consider defining thinning arches with either brow tattooing or microblading. Tattooing works like permanent makeup to darken the brows and permanently add pigment in the shape of a single hair. With microblading, tiny incisions are made and a pigment is placed in each. Aside from the richer tint that you’ll get from both options, they also add “volume” (or the appearance of it, anyway) and definition if your arches are thin or overplucked. 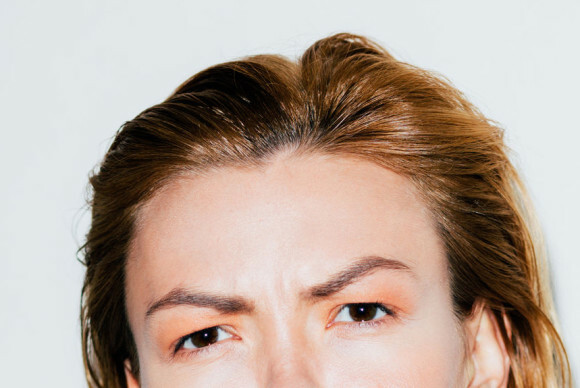 Thinned-out brows aren’t the only concern you can tackle with more permanent options than a little tweezing or tinting. As some women age, they could experience sagging of the lateral or tail end of their brows. According to Doft, what this does is cause excess skin to hang over the upper part of the eyelid. “For some patients, lifting the tail of the brow through a surgical procedure will make them appear higher and more youthful. If you’re open to considering such a permanent approach, there are two different types of brow lifts to choose from. A coronal brow lift is the most invasive: a large incision along the hairline (or within the hairline) is made, then excess skin is removed there to help elevate the brow. Alternatively, you can get a series of small incisions (three to five) to lift the brow endoscopically, a.k.a. with a small camera. That said, the former will yield a more notable result. “A patient would have a more significant lift using an open, coronal approach than the endoscopic approach as the endoscopic approach is limited as no skin is removed,” says Doft. There’s also a third and more temporary method known as a thread lift, for which dissolvable threads are placed beneath the skin to tighten the area around the brow. Doft notes that the change will only last for a few months and is more subtle. But we recommend starting your brow experiments with makeup — after all, it’s temporary. And sometimes, that’s all a brow needs to look rejuvenated.